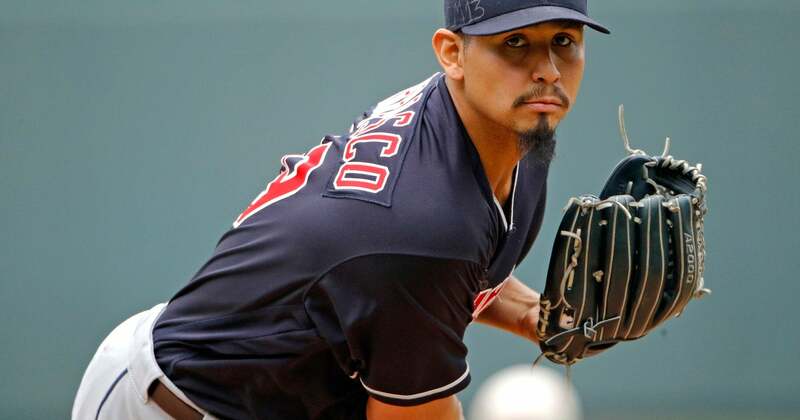 CLEVELAND (AP) — The Indians have signed starter Carlos Carrasco to a four-year contract extension through the 2022 season. Carrasco’s deal includes a club option for 2023. Financial terms were not immediately available. The 31-year-old Carrasco has developed into one of the league’s elite starters, and the Indians wanted to lock him up for the future. Cleveland is still toying with trading either Corey Kluber or Trevor Bauer to address their outfield needs. Carrasco is 79-62 with a 3.71 ERA in 207 career games. The Indians acquired him from Philadelphia in the July 2009 blockbuster that involved ace Cliff Lee.